Former communist militant Cesare Battisti was due to land in Rome on Monday after an international police squad tracked the Italian down and arrested him in Bolivia, ending almost four decades on the run, AFP reports. Jailed in 1979 for belonging to an armed revolutionary group outlawed in Italy, Battisti escaped from prison two years later and was convicted in absentia of four murders carried out during the 1970s. Italy had repeatedly sought the extradition of the activist, who lived in Brazil for years under the protection of former leftist president Luiz Inacio Lula da Silva, himself now in prison for corruption. 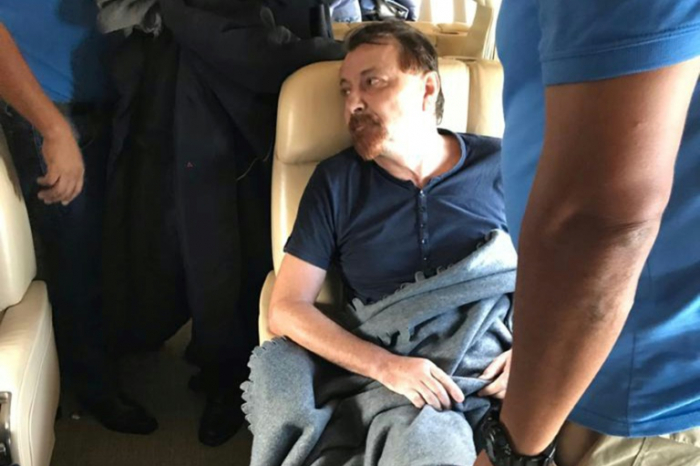 Battisti was seized late Saturday in the Bolivian city of Santa Cruz de la Sierra in an operation carried out by a joint team of Italian and Bolivian officers, Italian state police said. The 64-year-old fugitive, reportedly disguised in a false beard and moustache at the time of his arrest, was stopped in the street and gave up without a struggle, according to Italian government sources. He was handed to Italian authorities and put on a plane which left Bolivia on Sunday afternoon local time. "The airplane with Battisti has just left for Italy: I'm proud and delighted," Italy's Interior Minister Matteo Salvini tweeted. Italian Prime Minister Giuseppe Conte said in a Facebook post that he had expressed gratitude to Brazil's recently inaugurated President Jair Bolsonaro in a telephone call. "I wanted to thank him on behalf of the whole Italian government for the effective collaboration that led to Battisti's capture," he said. Battisti was sentenced to life imprisonment of having killed two Italian policemen, taking part in the murder of a butcher and helping plan the slaying of a jeweller who died in a shootout that left his 14-year-old son in a wheelchair. The ex-militant has admitted to being part of the Armed Proletarians for Communism, a radical group which staged a string of robberies and attacks, but has always denied responsibility for any deaths. However Rome remains determined to punish one of the last figures from Italy's so-called Years of Lead, a decade of violent turmoil which began in the late 1960s and saw dozens of deadly attacks by hardline leftwing and rightwing groups. During his presidential campaign the far-right Bolsonaro -- who took office on January 1 -- vowed that if elected he would "immediately" send Battisti back to Italy. In mid-December Brazil's outgoing president, Michel Temer, signed an extradition decree for the fugitive after a judge ordered his arrest -- by which time he had taken flight. According to Italian government sources, Battisti was spotted "with certainty" in Santa Cruz last week. He was unarmed when police arrested him and responded to officers in Portuguese, showing a Brazilian identity document. "Now Italy is waiting for him," an interior ministry source said. Italy's envoy to Brazil fired off a triumphant tweet upon hearing the news. "Battisti has been arrested! Democracy is stronger than terrorism!" Ambassador Antonio Bernardini wrote. Battisti had filed for asylum without receiving any response from authorities, Bolivia's ombudsman said in an article published in the local El Deber de Santa Cruz newspaper. He had been hoping to find favour with Bolivia's left-wing President Evo Morales after saying in his asylum request that he'd been forced to quit Brazil due to "the ominous coincidence" that Italy and Brazil were both now run by "far-right" governments. Salvini thanked the Italian and foreign police who captured "a delinquent who did not deserve the comfortable life on the beach, and who should spend the rest of his days in prison". Bolsonaro's son, Brazilian lawmaker Eduardo Bolsonaro, tweeted in Italian with a picture of Battisti: "Brazil is no longer the land of bandits. Matteo Salvini, the 'little gift' is on its way." Since his jailbreak Battisti has reinvented himself as an author, writing a string of noir novels. In 2004, he skipped bail in France, where he had taken refuge. He then went to live clandestinely in Brazil until he was arrested in 2007 in Rio de Janeiro. After years in custody, then-president Lula issued a decree -- later upheld by Brazil's Supreme Court -- in 2010 refusing Battisti's extradition to Italy, and he was freed, angering Rome. Battisti, who has a five-year-old Brazilian son, last year told AFP he faced "torture" and death if he were ever to be sent back to Italy.